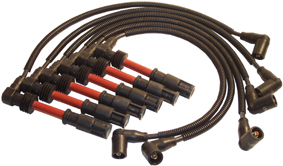 Eurocable AB develop, manufacture and market Ignition Leads, Coils and components. Production is primarily aimed for the spare parts market, Eurocable AB tailor make customers specific requests for different areas, like racing compressed or liquid gas and industrial engines. Today we have 2 brands EUROCABLE and GTS. Our policy regarding specifications of our products means that we use quality components matching or exceeding OE spare part components.